Luckily, I almost always have things like curry paste, vegetable broth, and coconut milk on hand. So I did some recipe research and got inspired. I’m sure you see where this is going. 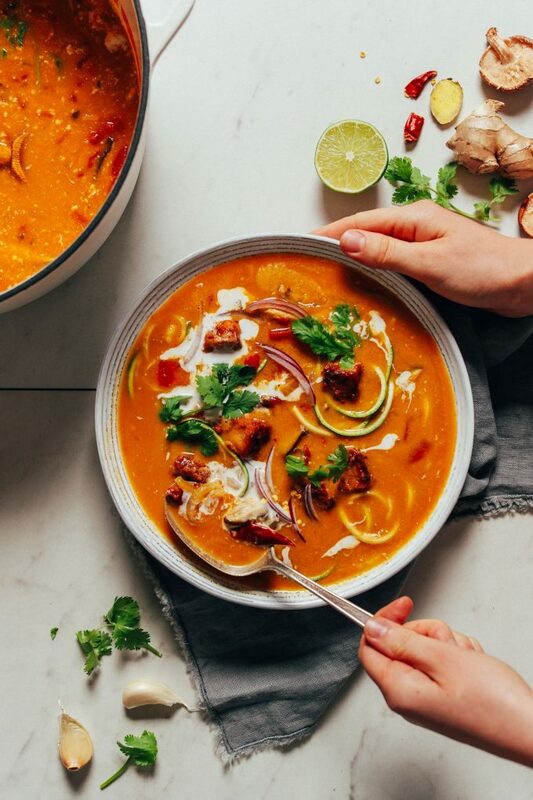 Lazy 1-Pot Vegan Tom Yum Soup from Minimalist Baker ?